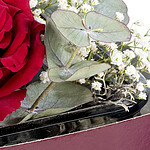 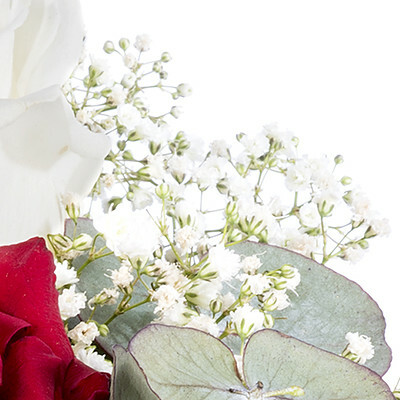 This unique arrangement is made of 1 red roses "Monte Carlo", 1 white rose "Avalanche", 1 white baby's breath and 1 eucalpythus. 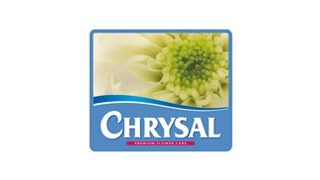 The flowers are delivered in a box with a mosy block which is placed in a glass cube (14x14cm). 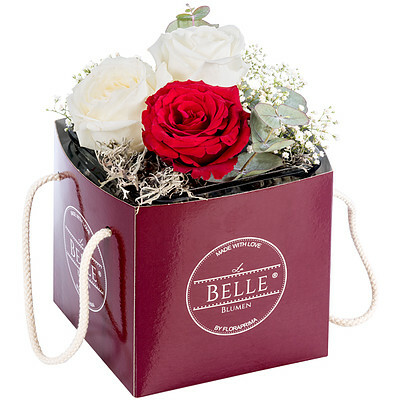 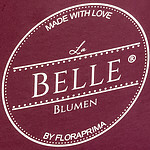 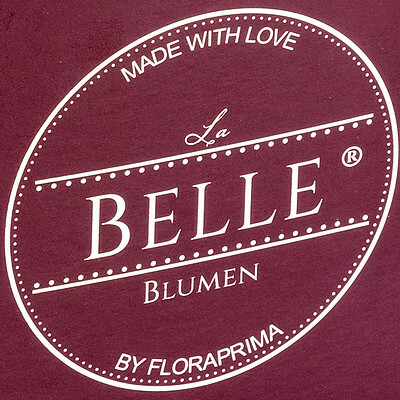 A cuff with "La Belle" written on it rounds off the arrangement perfectly.